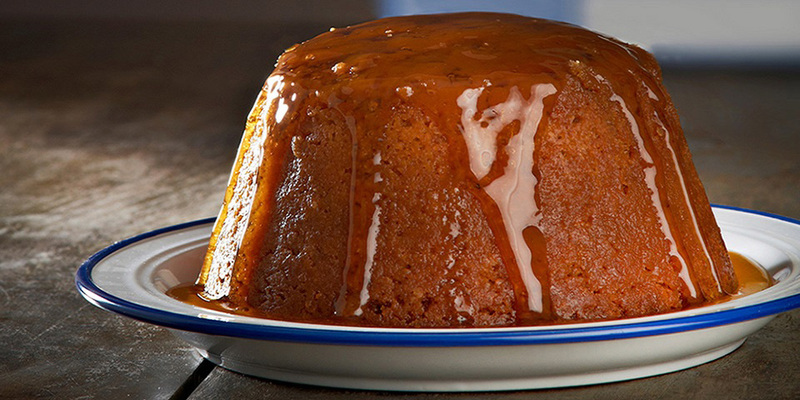 Steaming a pudding is easier than you think, simply follow these steps. Grease the inside of the pudding basin with butter. Cut a round disc of greaseproof paper to fit the base of the pudding basin and place inside. Place fillings inside the pudding basin. If using a sponge pudding mixture pour the mixture carefully into the basin and level out using a spatula or the back of a spoon. This will ensure that the mixture remains light and airy. 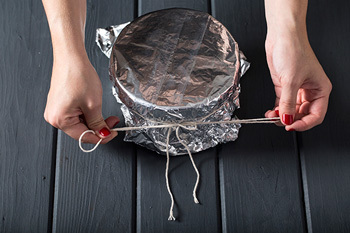 For making a fruit based pudding such as a Christmas pudding, pack this into the pudding basin as tightly as possible to ensure there are no gaps in the mixture. 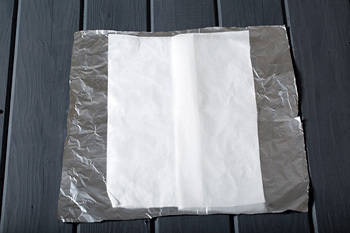 Cut a large square of aluminium foil and cut a slightly smaller square of greaseproof paper. 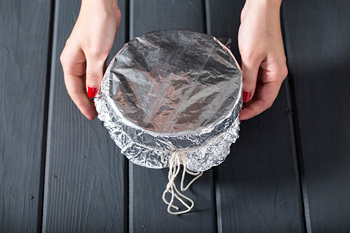 Place the greaseproof paper on top of the aluminium foil and make a pleat by folding a crease in the centre of both the paper and the foil. This will give the pudding room to expand during cooking. 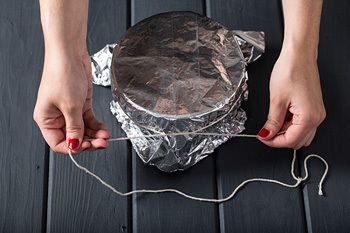 Place the foil over the pudding basin and tie securely with string. 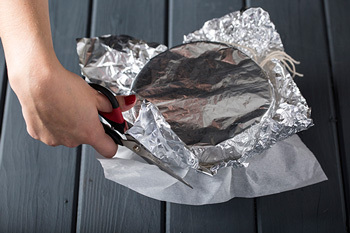 Cut away any excess greaseproof paper and tuck the foil underneath. This will ensure that the pudding remains watertight. Make a handle for the pudding by threading a double length of string through the string already tied around the pudding. Pull it through to the other side and secure. Place the pudding into a saucepan and fill the water level to half way up the basin. The water level should not drop down to less than 1/4 way up the pudding basin. Steam for several hours, or as recipe indicates. Top up water when necessary. 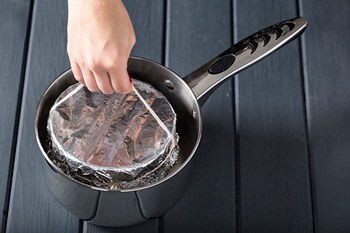 When the pudding is steamed, cut the string around the bowl. 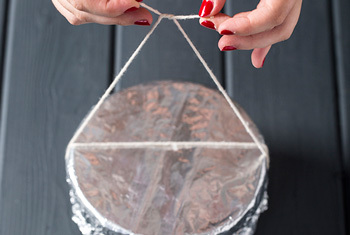 Gently ease away the paper and foil.